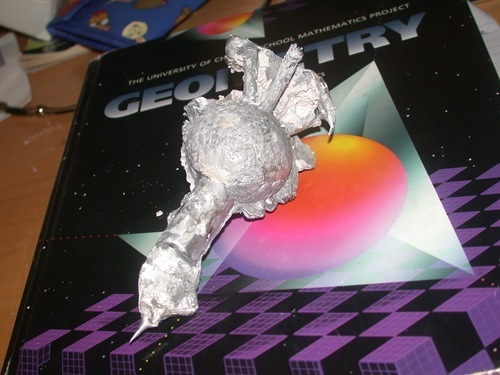 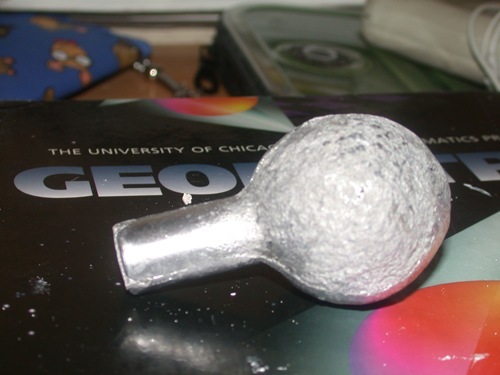 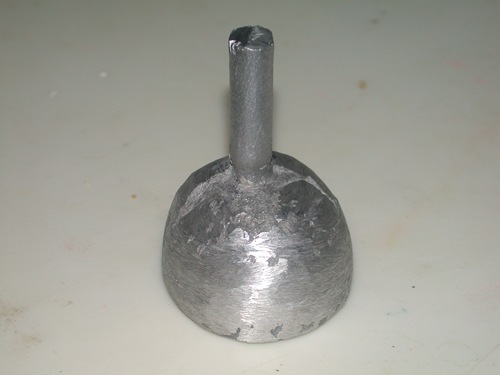 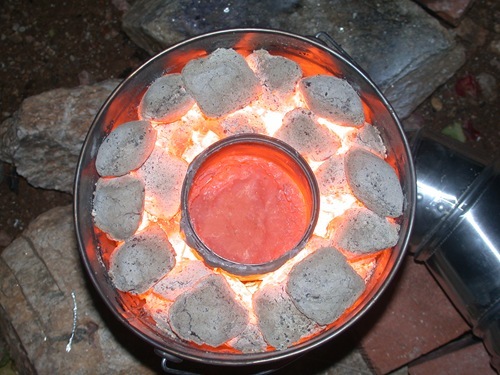 By using air blown charcoal you can easily melt aluminum cans and other aluminum pieces for homemade castings. 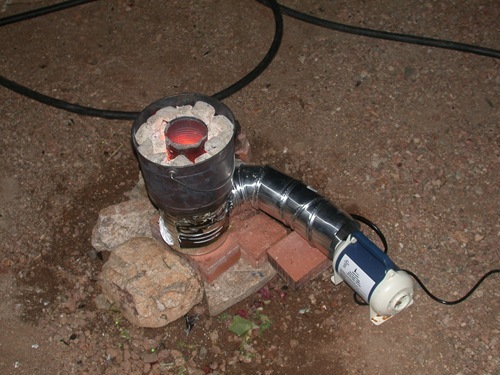 I used a bucket, a coffee can, dryer ducting, and a blower fan. 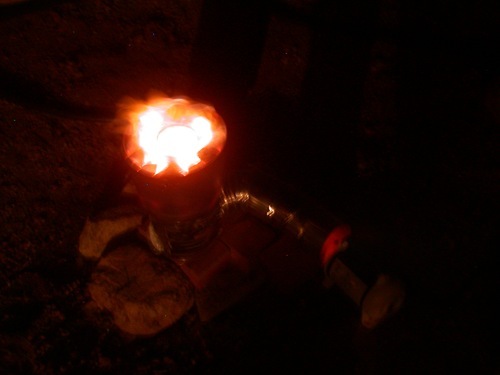 By simply letting the charcoal heat up and then using air to “turbo charge” the furnace you can then melt aluminum.